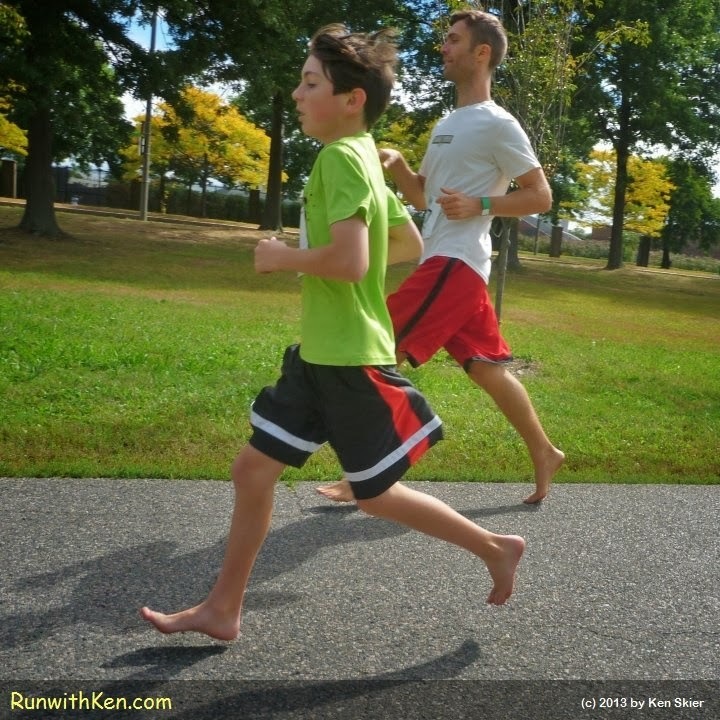 Running barefoot appeals to runners of ALL AGES! At the Boston Barefoot Running Festival 5K. These two runners were next to me as I ran. Look at the smiles on their faces!